Feminist actress Emma Watson unveiled her new "Time's Up" tattoo at the Vanity Fair Oscars afterparty on Sunday. Despite being a champion of the movement, the 27-year-old actress apparently doesn't know how to spell the slogan as her tattoo reads "Times Up" without an apostrophe. It's not entirely clear if the tattoo is permanent, People Magazine speculated it might be a temporary. 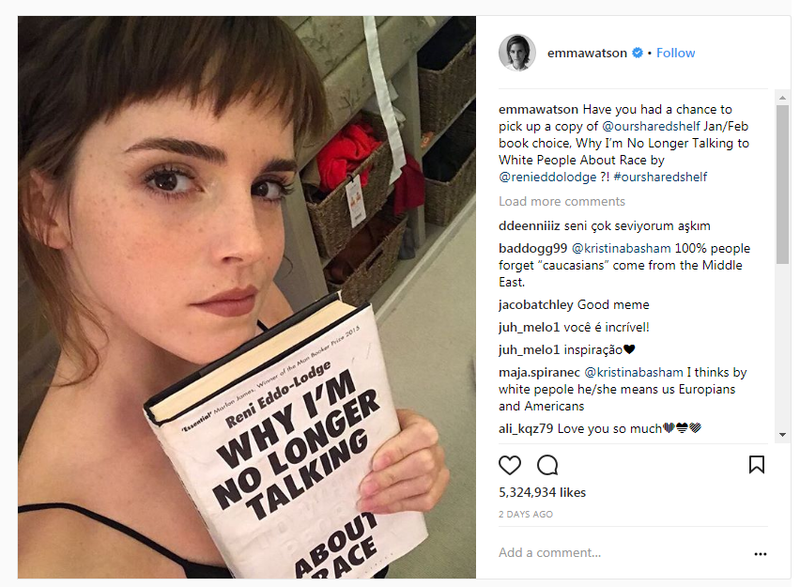 Earlier this year, Watson was praised by the media after she wrote an open letter where she acknowledged her "white privilege" and said she's thought about the ways she "upholds a system that is structurally racist." Judging by the terrible ratings of this year's Oscars, "Time's Up" seems to be an appropriate message for Hollywood as a whole.